Like millions of other Americans, I signed up online for the Organizing for America mailing list during the 2008 election cycle. Organizing for America was the online presence of the Obama campaign, which dipped deeply into activist communities to build its base of support. It was my thinking at the time that this network could become a powerful tool in what I perceived was an epic upcoming battle against the forces of reaction, against the GOP lie machine that keeps using the mainstream media to spam Americans with myths like tax cuts equal jobs, etc etc. Please note it was this tax cut myth that John Kennedy used to stimulate the economy in the 60’s. Don’t remember him being a part of the GOP lie machine. If the women of America had given up pushing for women’s right to vote, I wouldn’t be able to vote today. Women started working to get the vote about 1848 and didn’t get it until…what? 90 years later? I am not convinced that withdrawing from a movement benefits my country. But I could be wrong. One of my ancestors had to leave Germany because of his participation of the Rebellion of 1848 so I come by my rebelliousness naturally. It took two world wars to bring Germany into a democratic frame of mind. If he had stayed, would the King of Prussia be convinced to give more rights to his people? Maybe. Maybe not. The idea that cutting business and wealthy investors’ taxes did originate in 1961 with then President John F. Kennedy. But at that time business investment tax cuts were tied to proven job creation. Businesses had to prove they added jobs before they could claim the tax cut. That was changed with Reagan. Now businesses could get the tax credits even if they didn’t create jobs. Their taxes were cut even if it meant they reduced jobs. By the time of George W. Bush, businesses could claim tax cuts for investments made offshore. GM cut hundreds of thousands of jobs in the U.S. while adding thousands in China. Ford cut jobs while adding them in St. Petersburg, Russian. Corporations could claim the investment tax cuts, even if jobs were created offshore and simultaneously eliminated in the U.S. In effect, U.S. taxpayers were paying US corporations to send their jobs overseas. Between 2001-2004 George W. Bush pushed through a series of annual tax cuts for investors and corporations that amounted to a total of $3.4 trillion over the recent decade, according to the Center on Budget and Policy Priorities. Every tax cut bill passed between 2001-2004 was called a jobs creation bill. More than 80% of the $3.4 trillion eventually accrued to the wealthiest 20% households and corporations, and most of that to the top 0.1%, or 100,000 households, and S&P largest 500 companies. And what did George W. Bush business-investor tax cut produce in terms of jobs? The period 2001-2004 witnessed the weakest jobs creation on record following a recession. It took a full 46 months just to recover the level of jobs in the U.S. that existed in January 2001, when the recession at that time began. Estimates today after the current recession are that it will take 7-8 years to recover the lost jobs, if even then. You are right on the money Mr. Fresh! Bravo. Yes, Mr. Fresh said it well. My best friend, 65 yrs. old, voted Republican all her life til George W changed the tax rate on dividends and cap. gains from the 35% range down to 15%, as she made her money on dividends. She finally saw the light and ended up volunteering for Obama campaign and wrote letters about how unfair this was. She’d tell her gardener, domestic, how it was so unfair for them to be taxed on their earnings (FICA, i.e., Soc.Sec.) and income taxes when she did nothing and paid less taxes %-wise than working people did. The gap between rich and poor will continue to get bigger, and unfortunately the ones voting for the Republican philosophy are voting against their own best interest. Confession time, Nancy: I was a Republican too and I have my medallion thanking me for my donation to CREEP to prove it. That was the Committee to ReElect the President, for you younguns… President Nixon! The party philosophy and platform changed. It didn’t take the tax rates to change my mind about my party affiliation. 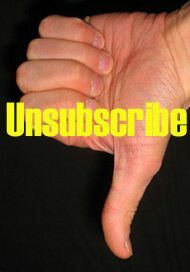 “Dear Mr. President, Today I made the very hard decision to unsubscribe to Organizing for America. It truly was a hard decision. I am trying to understand how hard it is for you, as the President of our country, to make good on the campaign promises that convinced me not to vote for a very smart, politically savvy woman who ran a strong campaign against you- Hillary Clinton. I feel that you have thrown your strongest supporters to the dogs as the health care debate became a town hall debacle. I was there Mr. President. It was not pretty. I have tried to balance all the things that you have accomplished against your putative commitment to the American public during the campaign, and to be fair and reasonable in doing so. I do understand your accomplishments and I value them. To the dogs, AnnaGrace? Is that like putting us all in the dog park with bullies like Boehner and McConnell? I’d filibuster the crap out of this raw Obummer/Bush tax deal. Why arn’t tax cuts during wartime regarded as a rude country-wrecking form of treason?